Getting an education – and a degree to prove your expertise – can be a worthy way to improve your mind and increase your marketability in the workplace. In today’s business world, it’s possible to get an online degree at a reasonable cost. If you work hard, it’s also possible to get an online degree fast. However, you do need to be careful and choose an MBA program carefully. Not all online degrees are the same. 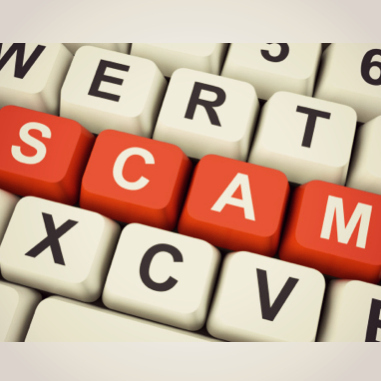 Many people have fallen victim to online degree scams that took their money and provided very little in return. This is the easiest to spot. You simply pay for what looks like a degree from a respected institution. You might go through a “life experience” test that claims that your knowledge is equivalent to a degree. In some cases, though, a degree mill just provides you with a counterfeit degree that you can use to get an advantage when applying for a job. This, however, is fraud; you can go to jail and pay a hefty fine when you become involved with a degree mill. This type of online degree scam claims to be a school – but isn’t. You are often told that it only takes a few months to earn your degree, and the fee seems reasonable. You use your credit card to pay for enrollment, and after a few weeks you realize that you haven’t been contacted, and that you can’t log in and complete your coursework. The scammers have your money (and possibly your credit card information), and you have nothing. There are official accreditation bodies, including the U.S. Department of Education and the Council for Higher Education Accreditation. Some online degree programs are not accredited at all. This means that you may get an education of some sort, but the degree you receive will not be recognized, and won’t do you much good as you look for a job. Some online degree programs try to boost their legitimacy by saying they are accredited. However, just as there are degree mills, there are also accreditation mills. These bodies do not offer rigorous standards. Accreditation by these organizations is not recognized by the Department of Education or the Council of Higher Eduction Accreditation is practically useless. Such degrees are not worth your time or money. After doing your research, you find that the institution is not properly accredited. You pay for a degree at a single flat rate, rather than paying on a per-course basis, or paying by the quarter or semester. It is difficult to contact someone to discuss the program. There are no phone numbers, and you are not offered a way to contact course instructors. The program takes a very short period of time, usually a matter of months. The website focuses on the degree, but doesn’t say much about the type of education you will receive. The site owners or company headquarters are in another country. Before you enroll in an online degree program, do online research. Check education forums and the Better Business Bureau. Also check accreditation with the Department of Education and the Council for Higher Education Accreditation. This can help you identify which programs will provide you with a real education, and which are just scams. What concerns do you have about online degrees? What are your thoughts? Leave a comment! This article was originally published November 1st, 2010. I was able to finish a MS in Education: Administration degree program online. I can tell you from personal experience that there are two things to consider if you are thinking of doing it. First, find a school that has a traditional campus that also offers an online program. That way in the future when you send your resume out those that are still closed minded about online education will not be able to determine just from your resume how you got a degree. Second, if you are not a strong self starter do not do an online program. When you are at home and have all the distractions of your normal life available to you it can be hard to sit there and read four chapters, or to write a paper. I got my degree with Scranton University. There are lots of choices out there now. Take your time and find the right one for you.